The other week I went to Jo’burg on a business trip and the rental that I was given a 2010 Suzuki Swift, a below midrange budget vehicle. Upon first glance the Swift was not harsh on the eyes, compact with a clean design, no unnecessary styling involved, but with a sporty edge to it. The interior took on the same styling as the outside, leaning more towards bland, but again no unnecessary styling. The door pads and handles looked liked they came straight from the Citi Golf. I think that the seats help the interior alot, its styling and colour picked up the interior quite a bit. 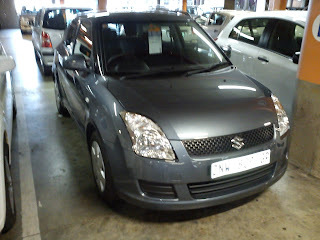 The engine variant that I had was the 1.5l GLS petrol, 5 speed manual gear box. The engine pushes out 74kw of power and 133Nm of torque, which I thought was pretty decent for the car of this size. But enough of the stats for now, it was time to put the car on the road. But before I do, I should mention the boot space, 1xMedium suitcase (you know the ones you see most business travellers rolling around at the airport) and a laptop bag (which I had to squeeze in), and that was it, the boot was full! The boot was a little over the size of a standard step in a standard staircase. I’d say the boot will manage four grocery bags at most. Ok, the road test. Started the car and set of to Randburg. Weaving through the O.R. Tambo Airport parking lot was a breeze. 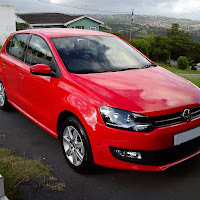 The compact hatch was easy as pie to navigate through the tight spaces, a definite plus for the lady drivers. Then it was time to get out onto the highway. Running through the gears put a smile to my face as the little Swift picked up speed without any serious stretching of the gears. There was ample power coming from the 1.5l engine. I had to change lanes and I checked my blind spot in the usual way, but realised that the blind spot on this car was really big. You have to virtually sit up in you seat to clear the blind spot, this was due to the rear left head rest and the rear left corner post being so close to each other. 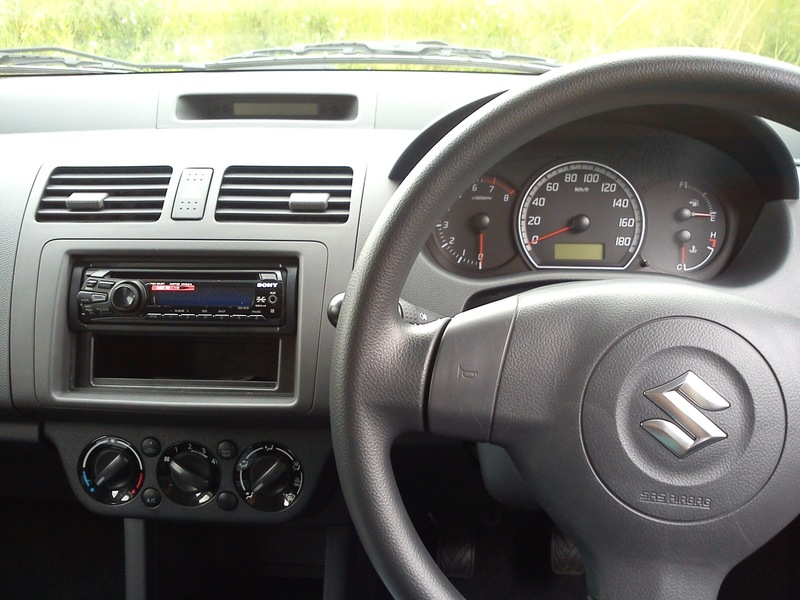 The overall verdict is that this is a good value for money car, the blind spot problem can be sorted by removing the rear headrest as they really don't serve any purpose. 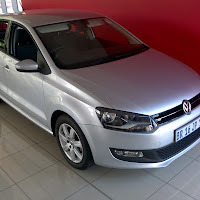 Current price is R163k and it comes with a 60000km service plan.